Series: This is part 2 of a series called Cat time is good for you. Believe it or not, our sweet-bundles-of-fur are probably saving us a bundle in medical bills. While cats in particular have healing powers, research on pet companionship in general is also impressive. While a study showed that both cats and dogs reduced stress-related blood pressure more than ace inhibitor medication, a study at the University of Minnesota found that cats in particular may reduce your chances of a heart attack by 40%. The study, which looked at 4,435 Americans aged 30 to 75, showed that those who did not have a cat had a 40% higher risk of having a heart attack and a 30% greater risk of dying from other heart diseases than those who have or have had a cat. I was diagnosed with a heart arrhythmia many years ago. That’s a crazy erratic, racing heartbeat that happens periodically in varying degrees of intensity and threat. I did not have a cat at the time. A bit later I lived with cats again and a bit later I stopped having arrhythmia. Didn’t think much of it. Fast forward many years to when my only cat, Bastet, was dying. I started having bouts of terrible heart arrhythmia symptoms. After she died it got worse–and by worse I mean nearly constant. It stopped the day we brought home two new purring youngsters named Phil and Joel. The arrhythmia disappeared that day and hasn’t returned since. Were there other factors that may have affected my heart arrhythmia in these cases? Probably. But the timing of the healing was uncanny. 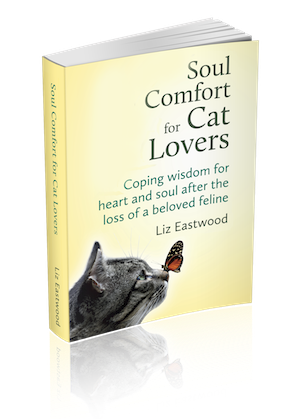 What’s at the root of a cat’s healing power? In a study by Dr. June McNicholas, stress symptoms were lowest in cat owners, second lowest in dog owners, and highest in people without pets. Purring heals—a lot of things! 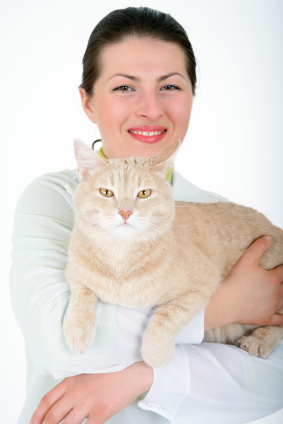 Having a pet reduces your risk of non-Hodgkin’s lymphoma cancer by about 33%! The longer you have pets, the less likely you are to develop lymphoma. Pets are good for your mental health: One example is another study by Dr. June McNicholas of the University of Warwick. Her research showed that seniors had less depression and psychological distress if they had a pet. Well, this has been humbling! Excuse me while I go see what little Phil and Joel are up to. Do you suspect a cat helped you heal? Onward to Part 3, where I’ll look at an easy healing meditation technique that you can do with your cat. I tested it with a biofeedback device. I have chronic left arm pain, to the point I scream in pain with the lightest touch. However, my cat Andromeda loves to help by laying right on my arm. Magically, her body weight doesn’t bother me. As soon as I try and move her, she climbs right back on. I think it’s her way of protecting me! I have Medullary Sponge Kidney and I have pain a lot of the time, I was having worse pain than normal this morning. I was laying on the couch crying because it was so bad, I just recently got two kittens that are about 5 months from the shelter, Kiki and Millie they were litter mates, anyways I was laying on the couch in pain and Kiki jumped up on my leg and was looking me right in the eyes and Millie laid against my stomach (where the pain was) and she was purring and I could feel the pain going away. It was very strange but I knew they had done it somehow. My cat still sleeps on my left hip and I am still pain free. Cats are mysterious and loving animals, oozing with love for their owners. Hi, I’m in UK. I’m currently suffering from anxiety and depression. My huge boy Ambrose is constantly coming to find me to make sure I’m ok. He’s on the bed now. He’s such a comfort, I don’t know what I’d do without him. I’m off work at the moment due to the above conditions and have had suicidal thoughts BUT my husband who’s a mental health nurse is perfectly happy to leave me alone each day when he goes to work as he knows that Ambrose will look after me. I have a lot of pain in my hip. I have 1 cat and 2 kittens that lately will lay accessed my bad hip and purr loudly. Ever since they started doing this the pain is less and less every day. My boyfriend thinks it has to do with there purring. Hi Ann, My cat sleeps with its upper body on my left hip every night. She is like a furry hot water bottle or heating pad. That has kept my hip pain free for three years. PS If you want to see something interesting about cat communication, go to YouTube “8 ways your cat communicates with you.” Take care.